It was inevitable. Ice cream is a favorite treat that reaches back to my Grandfather Brown hand making it with the hand crank and rock salt. I didn’t realize that cookies were a favorite until I was baking dozens and dozens around the time of Isabel’s birth. Everyone got cookies from us. It was just a matter of time before they both came together; a wonderful merger of creamy and chewy. The common methods to combine these two favorites is either cooked or uncooked; it’s either cookie or dough. The cookie is the container for the ice cream or it’s the other way around – the ice cream contains the cookie (dough). I’m a fan of cookie dough, but some shy away from it, which doesnt bother me one bit. It means that there is more of it in the World for us cookie dough eaters to enjoy. As an ice cream maker we’re not certain we would make a cookie dough ice cream; there is raw egg in the real thing and the Department of Health isn’t too keen on raw egg and we appreciate that. The other option where cookies are the container excites me. I have been working on a cookie recipe for a month. There are a few requirements. It must be moist and chewy right out the freezer, contain the least amount of ingredients (I don’t like busy flavors), and most importantly taste great. 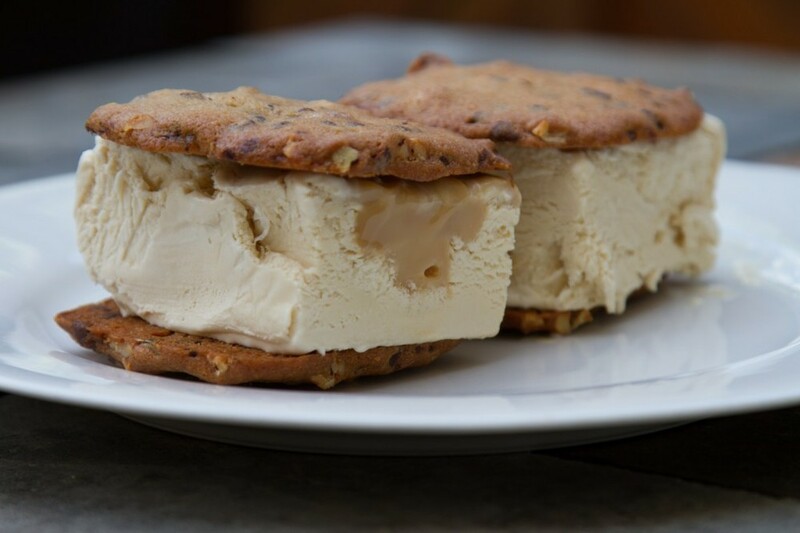 The ultimate goal is for our cookies to have a kind of flavor synergy with our ice creams. 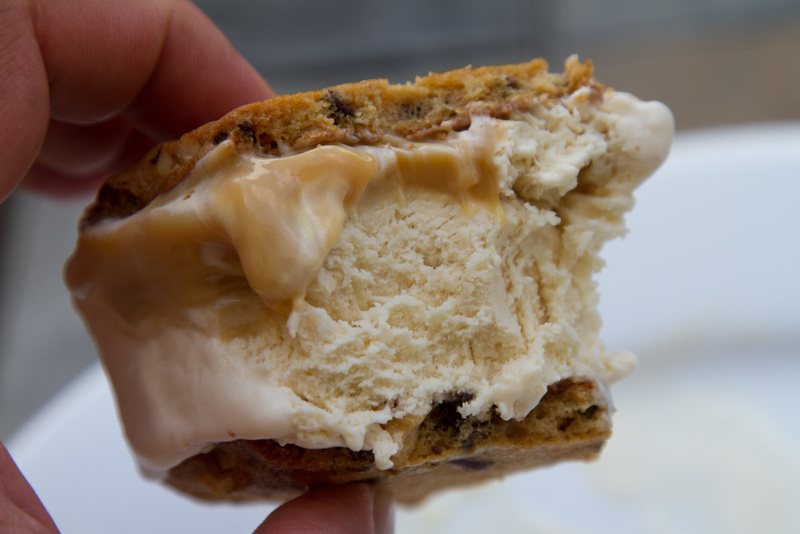 We are on a quest to make the best ice cream sandwich these hands can make. Since we make our own ice cream and the cookies I think we will make it our top priority. I just hope it doesn’t take too many batches to “test” our new product; my pants have been getting a little tight around the waist.